Susan Graham’s “poignant” (Financial Times) interpretation of Countess Geschwitz in Alben Berg’s Lulu is now available to own on DVD/Blu-ray from Nonesuch Records. The Met’s 2015 staging, directed by acclaimed South African visual artist William Kentridge and conducted by Lothar Koenigs, also features Marlis Petersen in the title role alongside Daniel Brenna, Paul Groves, and Johan Reuter. 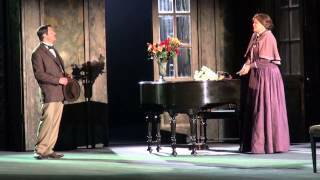 Watch the Metropolitan Opera’s trailer of the production here. “She distinguished herself with her burnished warm sound from the very first notes,” praised the Washington Post of Susan’s performance — her debut in the role — and “sang so radiantly [she] made Berg’s spiky music sound downright romantic” (New York Observer). As the cunning admirer of the eponymous femme fatale Susan “was luxurious casting, singing her final scene with rare eloquence and great depth of feeling,” noted Operavore, and “[balanced] fragile dignity and poignant neediness in her performance (New York Times). 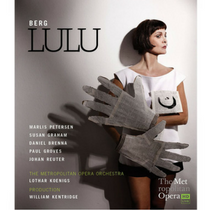 Get Lulu now from Amazon or the Nonesuch Store. 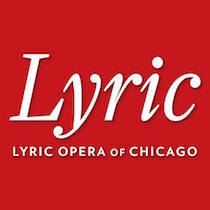 It has been announced that Susan Graham will join the cast of the Lyric Opera of Chicago’s new staging of Les Troyens, Hector Berlioz’s grand operatic retelling of Virgil’s Aeneid, to reprise her signature role of Dido. Sir Andrew Davis conducts a cast that also includes Christine Goerke as Cassandra and Brandon Jovanovich as Aeneas, with performances on November 13, 17, 21, and 26 as well as December 3. The new production is directed by Tim Albery, with set and costume designs by Tobias Hoheisel, lighting designs by David Finn, and projection designs by Illumines. The opening performance of Les Troyens will be recorded for delayed broadcast on WFMT on Tuesday, November 15 beginning at 7:15pm Central. Find tickets and more information here. In May, Susan joins a cast of the world’s greatest opera luminaries to celebrate the Metropolitan Opera House’s 50th anniversary. She later returns to Santa Fe Opera in the plum “trouser” role of Prince Orlofsky, in the company’s first new production in 25 years of Johann Strauss II’s Die Fledermaus, which she also sang at the Met last season. Also in concert, Susan performs selections from Mahler’s Des Knaben Wunderhorn with the Met Orchestra and Esa-Pekka Salonen in Carnegie Hall; and Berlioz’s La mort de Cléopâtre with the San Antonio Symphony. In recital, she reunites with regular partner Malcolm Martineau for accounts of “Frauenliebe und -leben: Variations,” her wide-ranging program inspired by and centered on Schumann’s iconic song cycle, in Santa Barbara, Baltimore, and Portland, Oregon. View Susan’s upcoming engagements on her schedule. 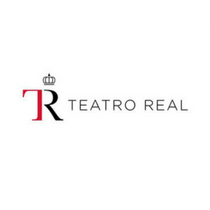 Susan Graham joins the Orchestra and Choir of the Teatro Real, conductor Pinchas Sternberg, and soprano Sofia Fomina as soloist in a one-night only performance of Mahler’s Symphony No. 2, “Resurrection” at Spain’s majestic Catedral de Toledo. Find information and tickets here to this event on Saturday, October 8.